We begin with the technical side of the issue and focus first on the classic case – a combination of external amplifier and passive speakers. In the first step the input signal reaches the power amplifier here and it is there – as you can probably guess, that it is amplified. It is basically the weak music signal is modulated onto the power current from the socket, so that it then is strong enough to enable the driver of the speaker to vibrate. However, since generally each special chassis for the individual frequency ranges in a speaker cabinet – often referred to as two-way or three-way systems – are installed, the signal must be separated accordingly. This separation is typically by means of a so-called passive cross-over. The name arises from the fact that only passive components (capacitors, traces, resistors) are used, which also must be sufficiently strong because of the high current flow. 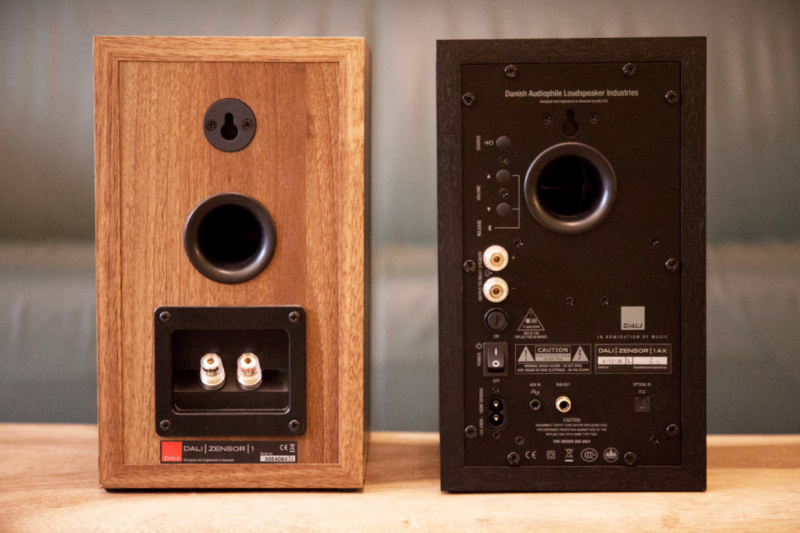 An active speaker solution now differs equally in many ways from the variant shown above, the first obvious feature is the separate power supply of the active speaker. This is first necessary because the power amplifier is an integral part of the speaker here, actually possesses even in most cases, each driving its own output stage. The separation of the music signal in each frequency band can be found here before the gain instead, from which both differences in the size of the components used and with regard to the structure of the Soft total surrender. Again is the name the decisive point: There are active components used (operational amplifiers, transistors), which are just like the integrated power amplifiers dependent on the above-mentioned power supply. In digital crossover finally is in principle a special case of the active crossover. It offers about the possibility digitally to separate the signal or delay and make frequency adjustments to further optimize the performance of the speaker or make adjustments to individual room conditions. Furthermore, can be – provided corresponding inputs on the active speakers – of course in theory the entire signal from a digital source up to the digital-analog conversion before the digital power amplifiers deny without interruption. Before under the condition of changed conditions of music consumption, venture a look into the future, we want to briefly outline the technical arguments for one or the other system. A central point of contention here is the crossover itself. Proponents of active solutions indicate that the use of massive passive components for separating the already amplified signal partially hardly has to be corrected impact on the immediate and can also be controlled the movement of the chassis inadequate (keyword damping factor ). In addition, manufacturers could develop perfectly tailored switches and amplifier combinations and use through the use of digital technology further optimization opportunities or even provide the end customer, for example in the form of a Einmesssystems, available. Advocates of passive approach on the other hand pull example in doubt as to whether the installed power amplifier actually offer the highest quality and the producers have sufficient expertise in amplifier and digital technology. Furthermore, they argue that quality passive shunt just yet are able to separate the signal distortion and also active components not lossless, per se. There are plenty of examples of both variants with very excellent sound reproduction in practice in the medium and upper price range, this discussion is, of course, put into perspective to some extent. Interesting is definitely finding that active loudspeakers in professional recording area are almost exclusively used, while for HiFi applications, the combination of external amplifier and passive speakers is still preferred. This preference is certainly grown historically at a good part and here play different aspects of the technical development and aesthetics to force of habit a role. 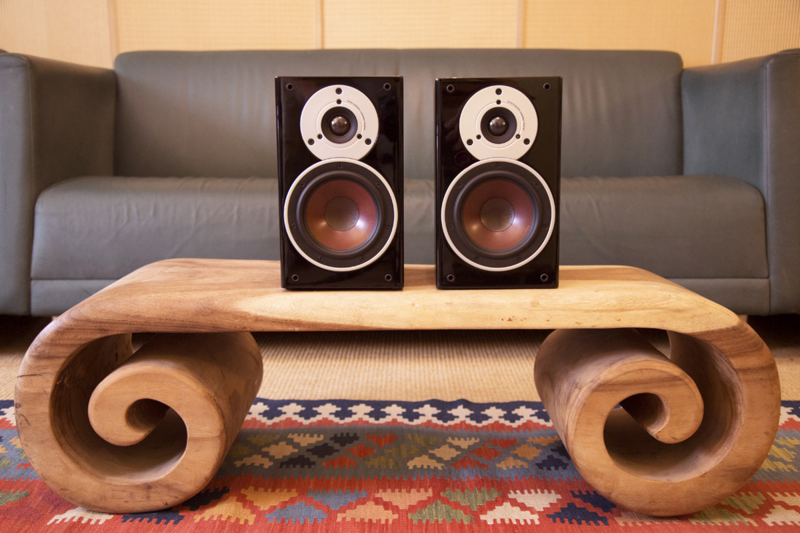 After all, the stereo – best visually an eye-catcher, whether with glowing tubes or in modern garb – for decades in many households are firmly established and expanding the system or experimenting with different components is one of many hi-fi enthusiasts literally word rigueur. Whether powered speakers can make up ground in the future here, therefore, remains to be seen, but there are still reasons to accept it. In the area of ​​compact systems and in the current multi-room specialists, the active principle is already common practice. Together with dedicated DACs, network players and music servers, smartphones, tablets and not to forget the streaming services are a part of an expression to changing usage patterns and driving this change in turn continues. The ability to realize high-quality electronics becoming smaller and more discreet, will also have an impact on how much space we are ready to grant electronic equipment in our environment. So the classic combination could actually lose external amplifier and passive speakers in importance, while the equation for high-quality music playback in future increasingly reduced to a (digital) source and a pair of powered speakers.